BrightSource Energy is expected to go public in 2011. Israeli solar energy company BrightSource Energy and French power company Alstom have partnered to build solar thermal power plants throughout the Mediterranean and in Africa. 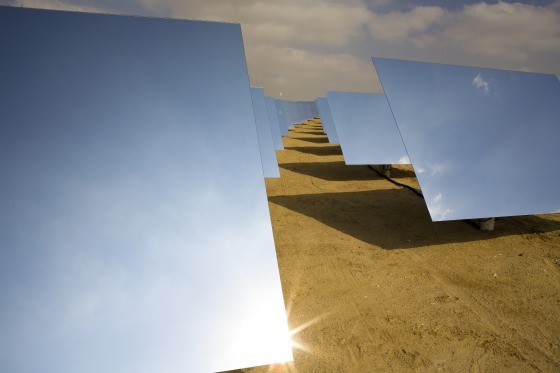 The plants will use BrightSource’s solution that relies on thousands of mirrors all focused on a central tower with a water boiler atop of it to heat the water and turn it to steam which then turns a conventional turbine that generates electricity. This latest partnership comes after BrightSource raised $55 million from Alstom in May and ongoing news of the solar plant BrightSource is planning to build in the Mojave desert in California. The plant is set to be the largest solar energy plant in the world. The company is also expected to announce an IPO soon. Neither company revealed a time frame for the Mediterranean “ring”. Israeli solar technology company ZenithSolar revealed this week the third generation of its solar panel technology. The new technology combines heating and electricity in a manner that can make it affordable without government subsidies. I wonder if they are connecting in any way to the Desertec initiative?